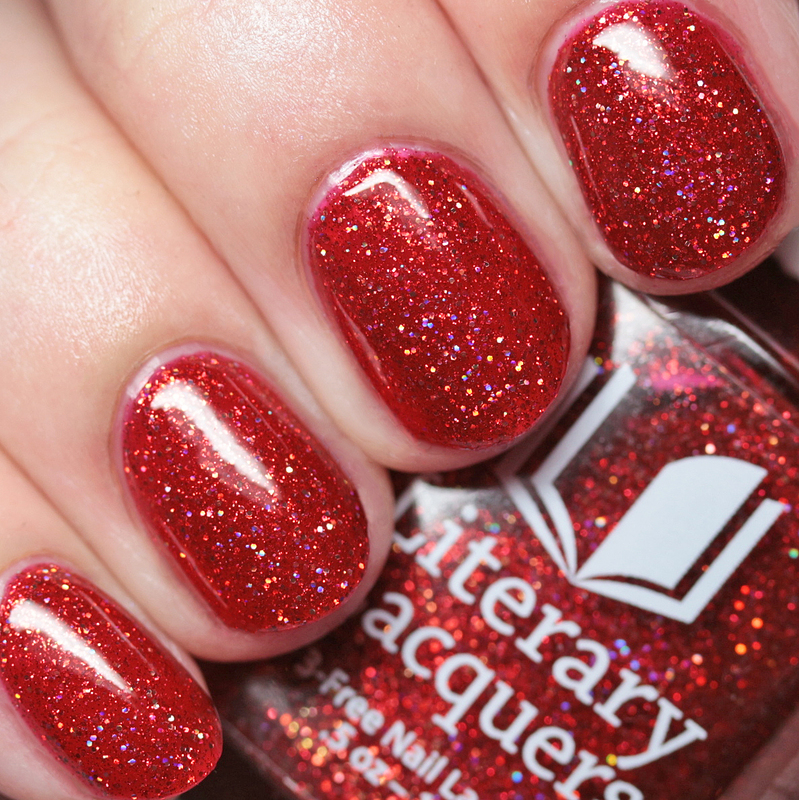 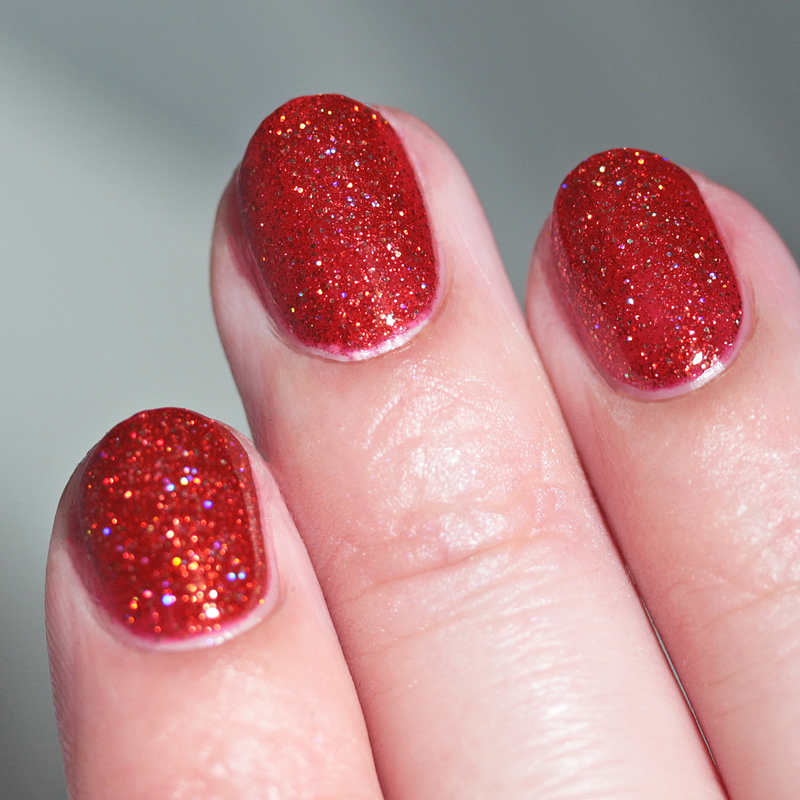 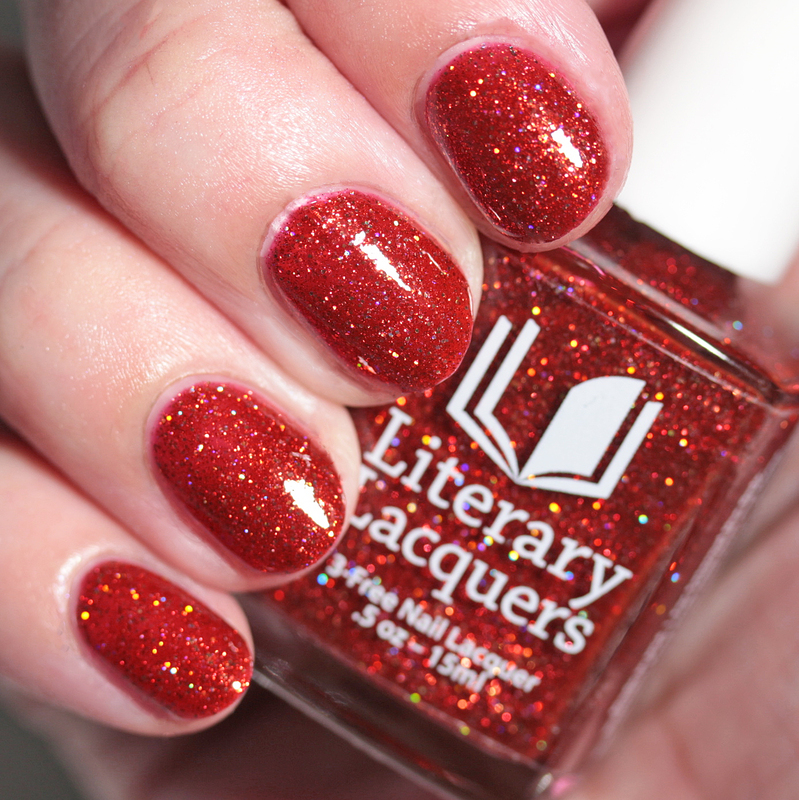 Literary Lacquers Six Impossible Things is a scarlet jelly with gold and copper holo microglitters. 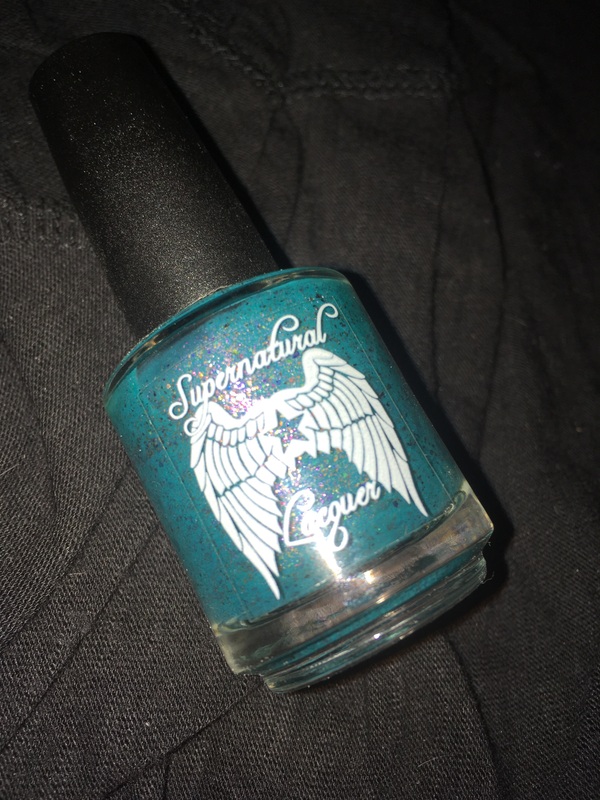 I wore it in four thin coats but two or three will do, depending on how much intensity you want. 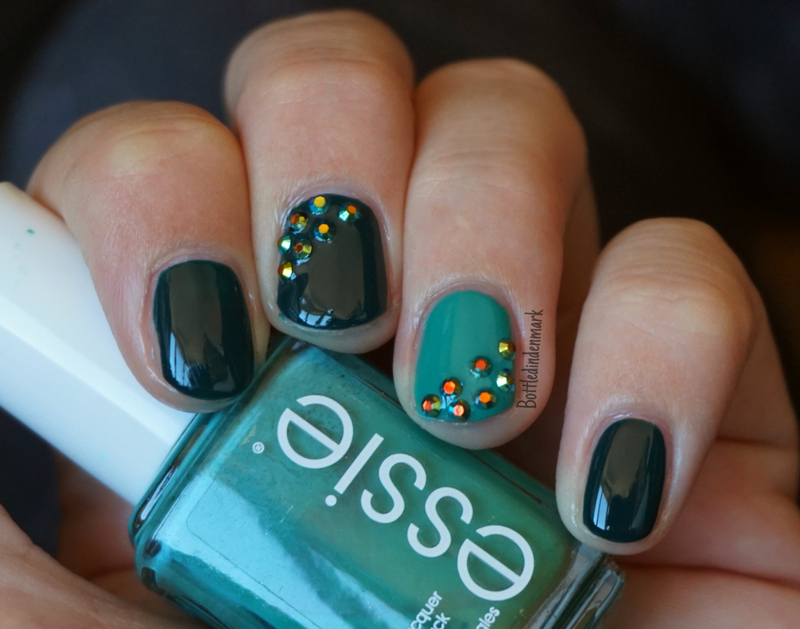 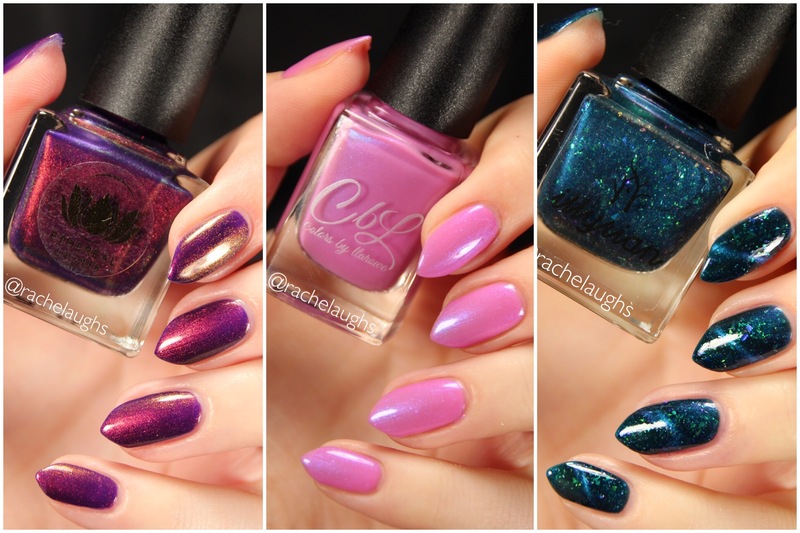 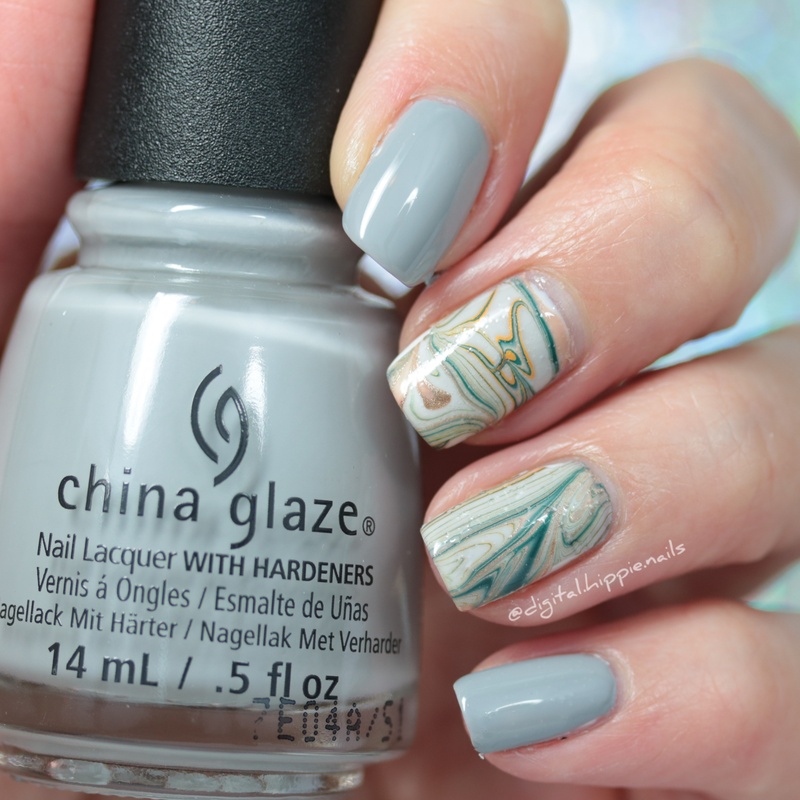 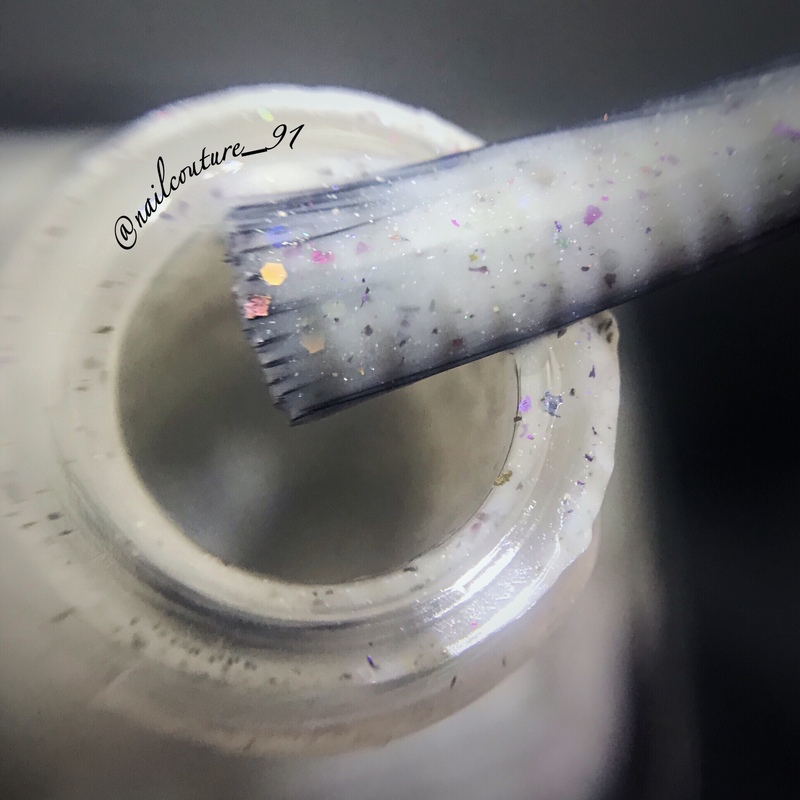 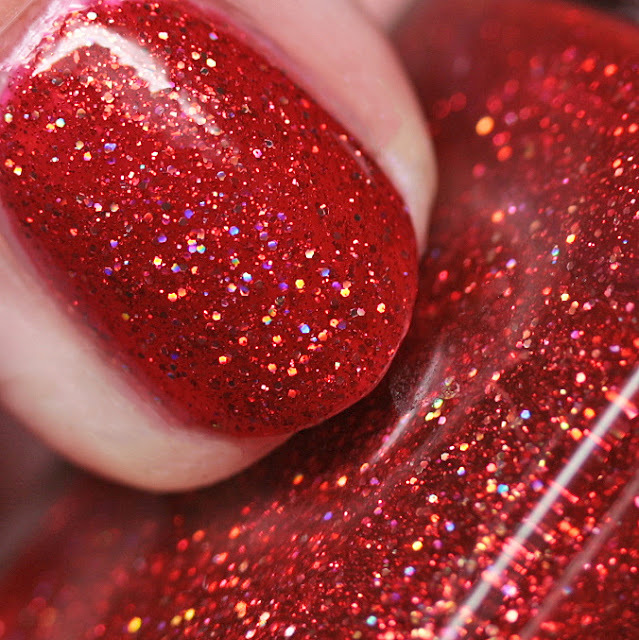 Nice formula, it requires top coat to smooth due to the glitter. 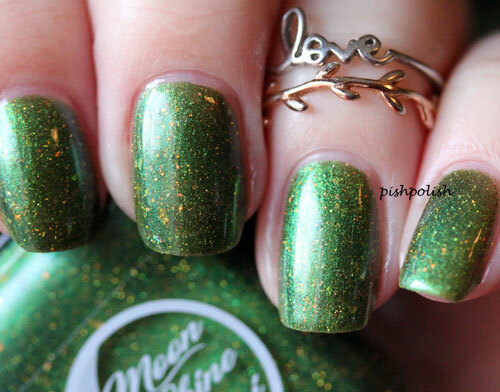 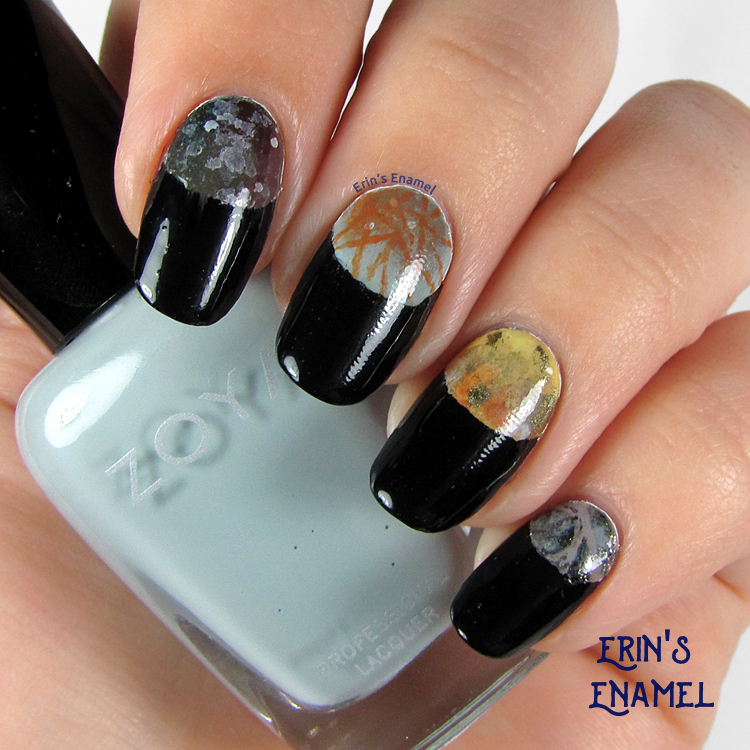 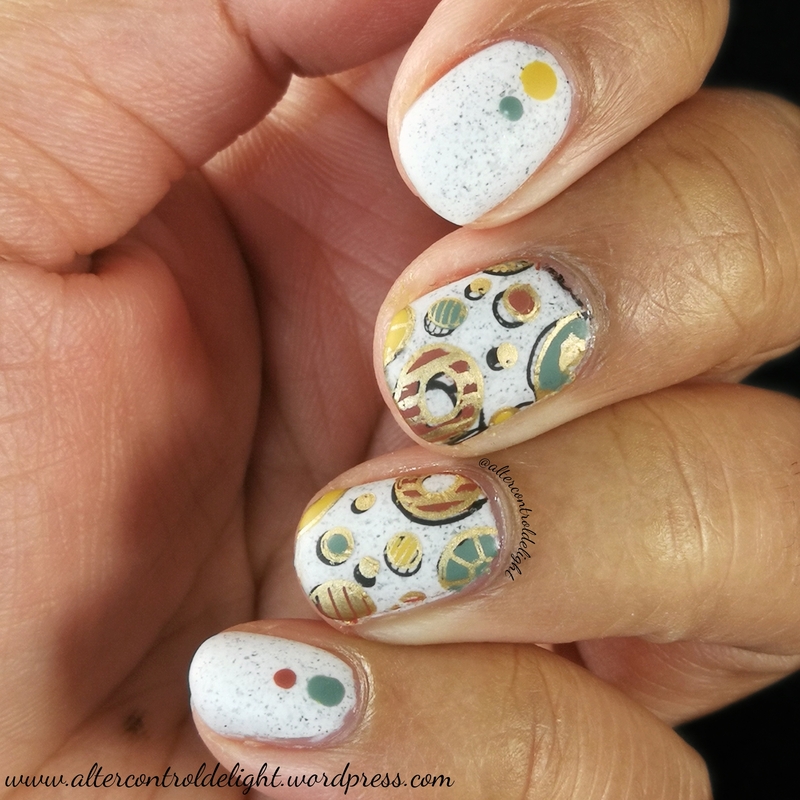 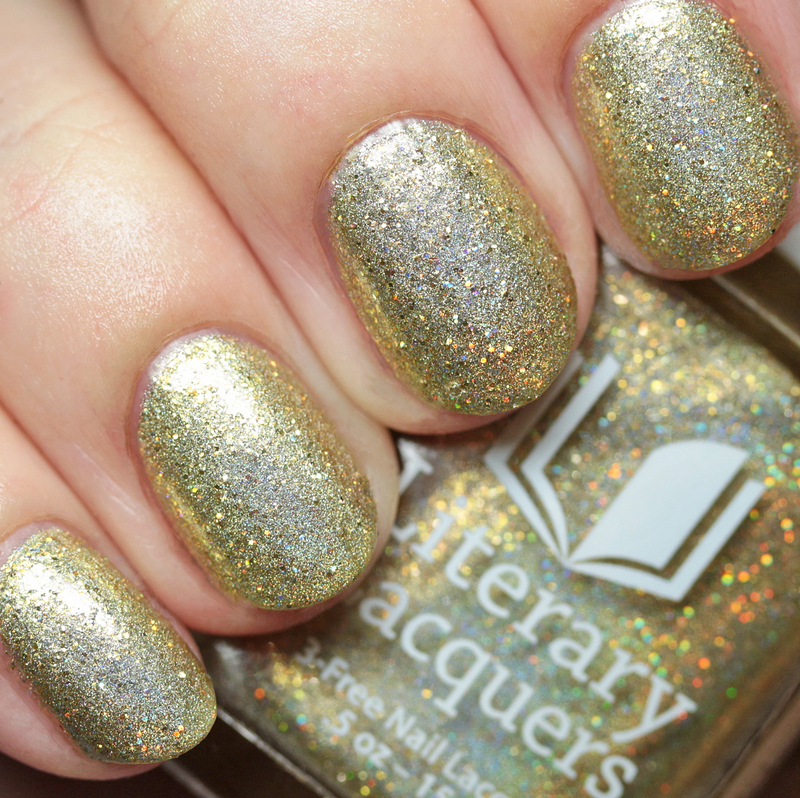 Literary Lacquers The Golden Afternoon is a metallic gold linear holo with holo microglitters. 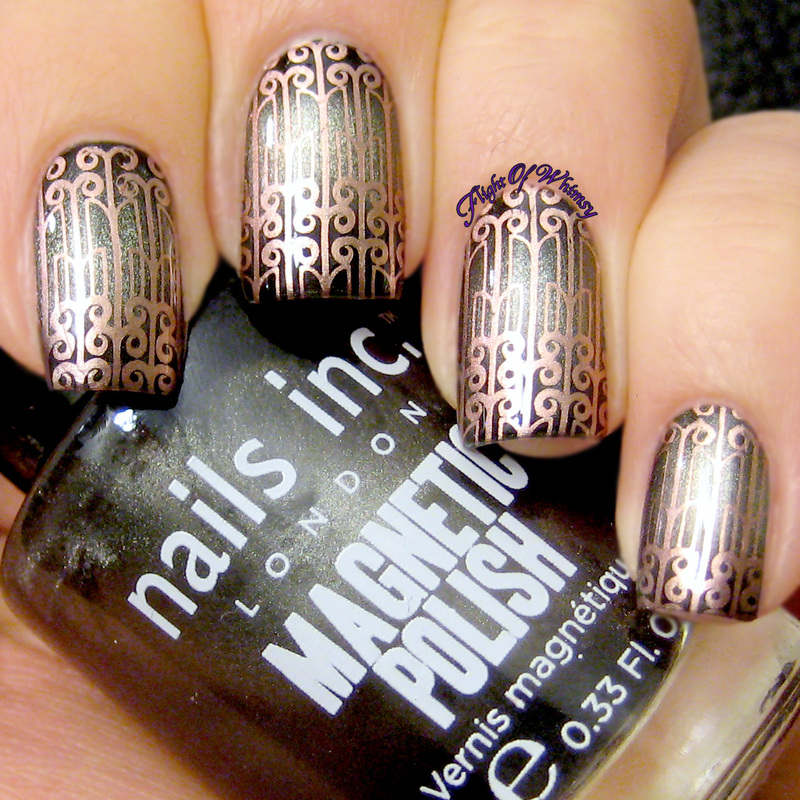 This one is seriously stunning! 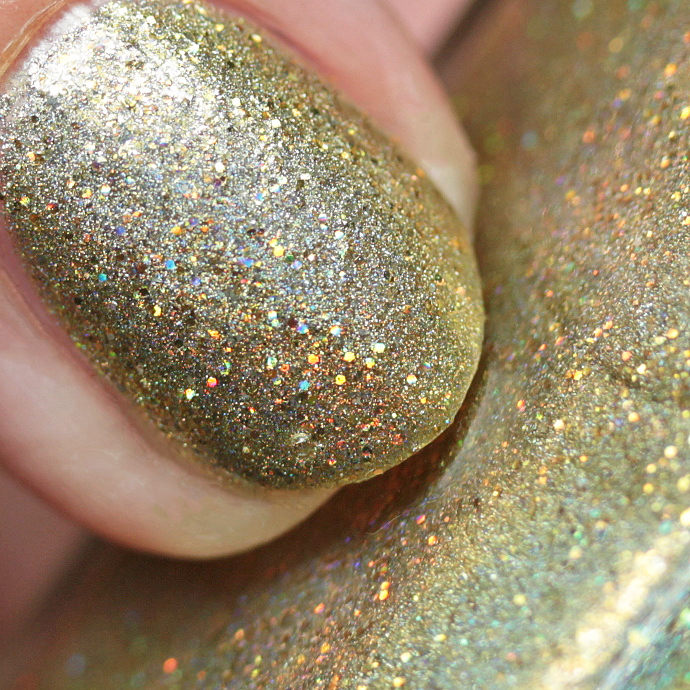 It will cover in two or three coats and is shown with top coat to be completely smooth. 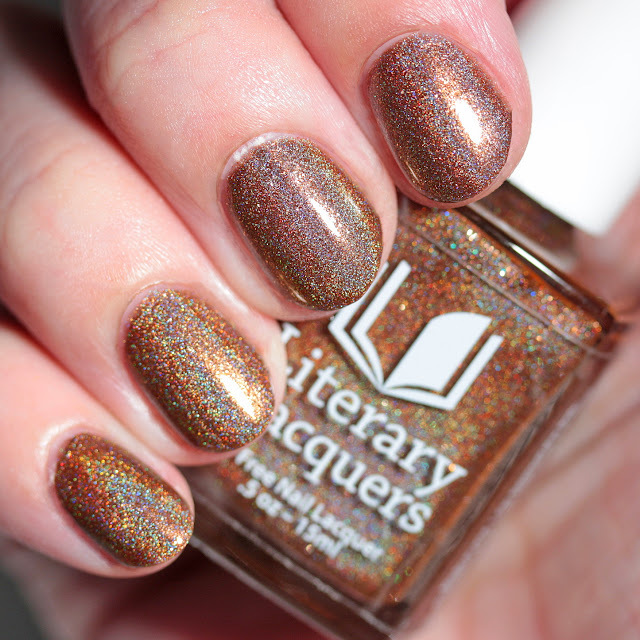 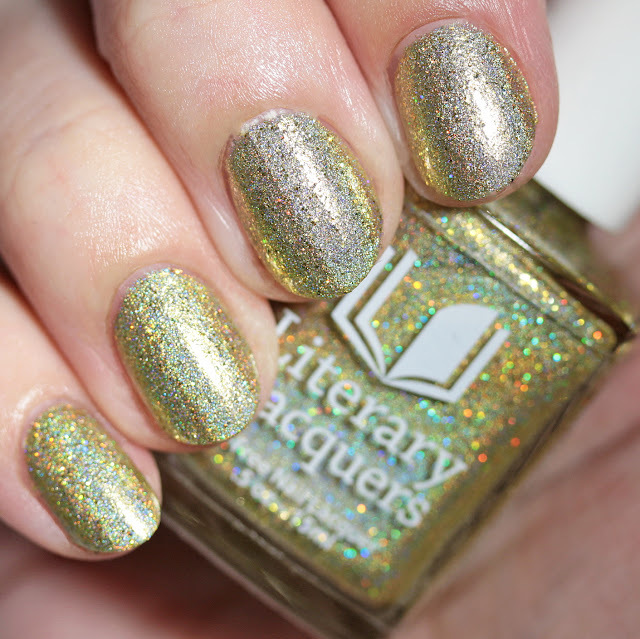 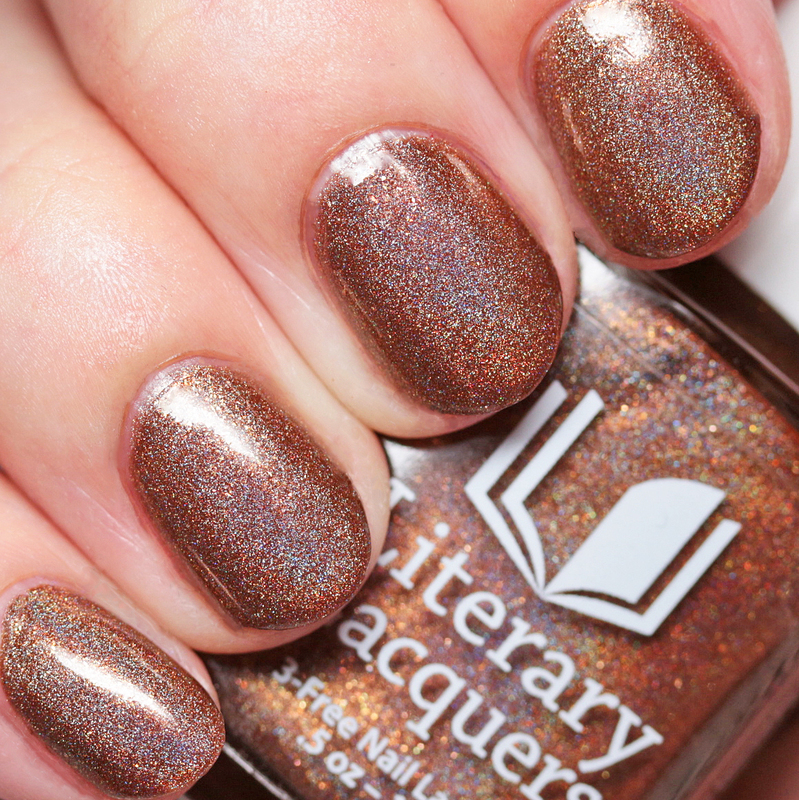 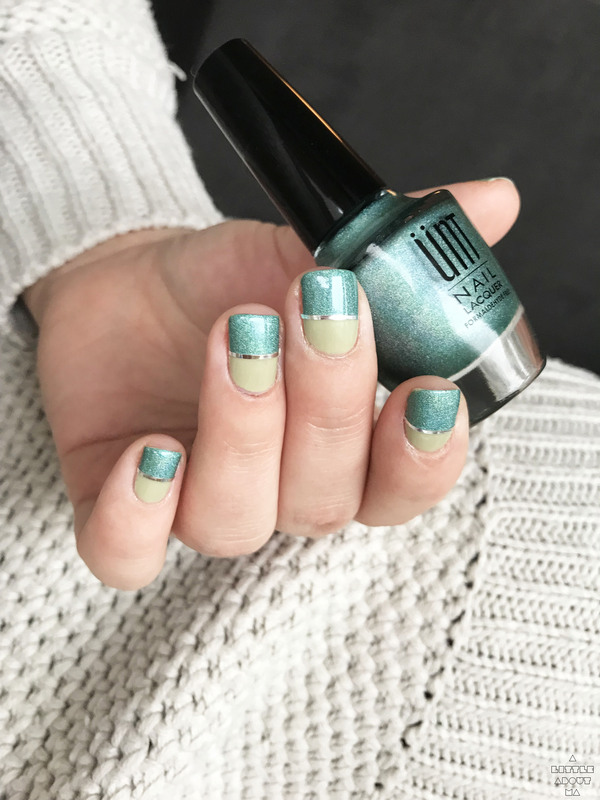 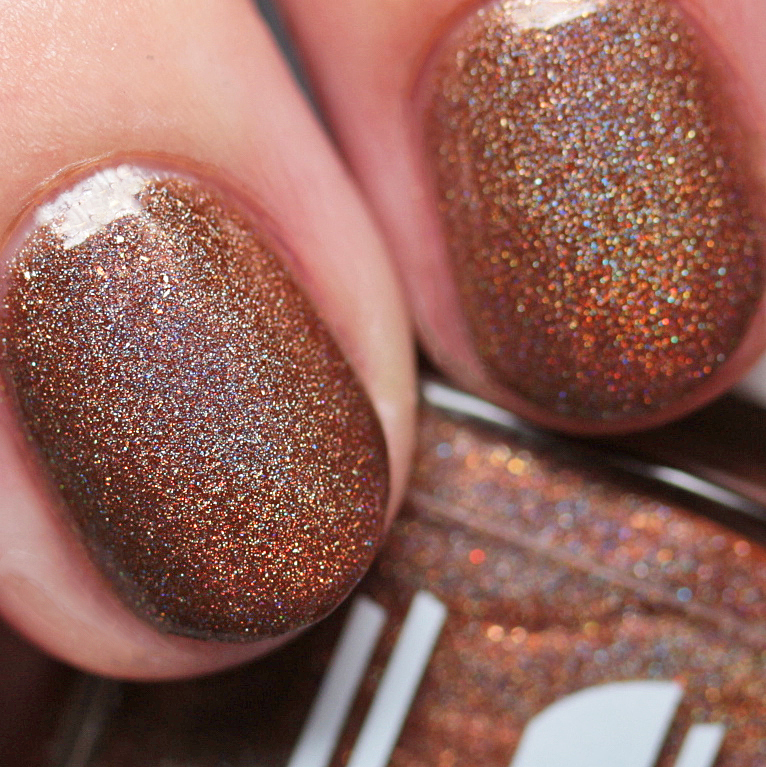 Literary Lacquers Tulgey Wood is a bronze linear holo with gold microflakes. 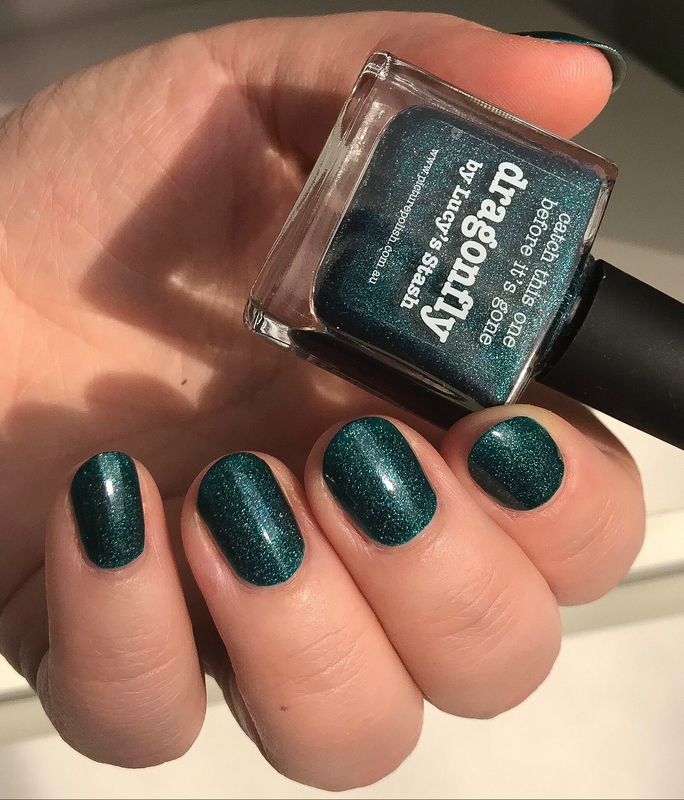 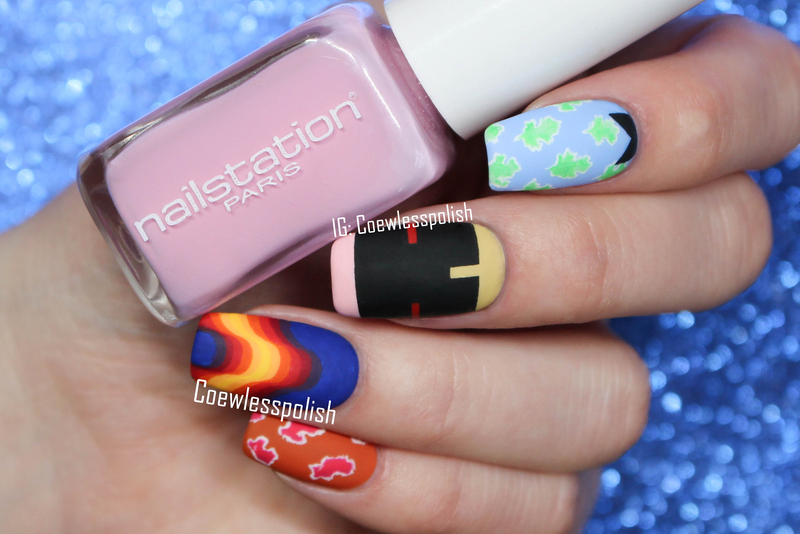 This is exactly my kind of polish! 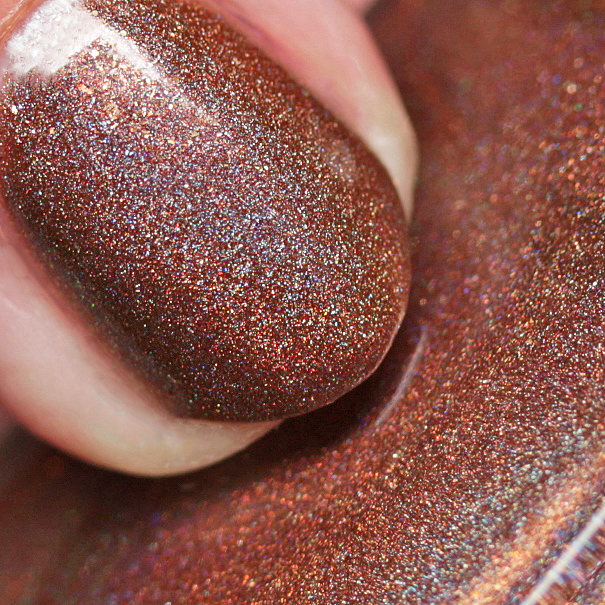 I love a good brown and this one is so rich. 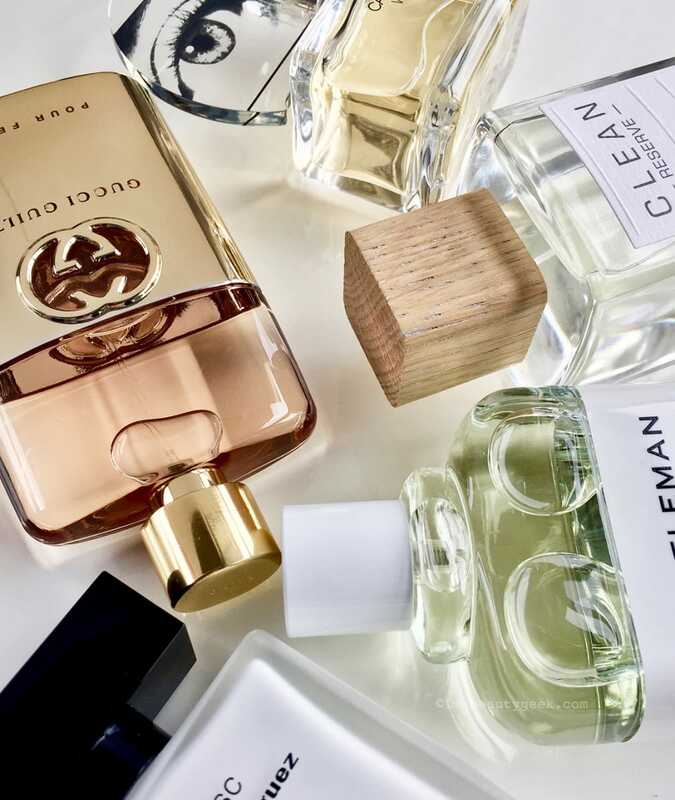 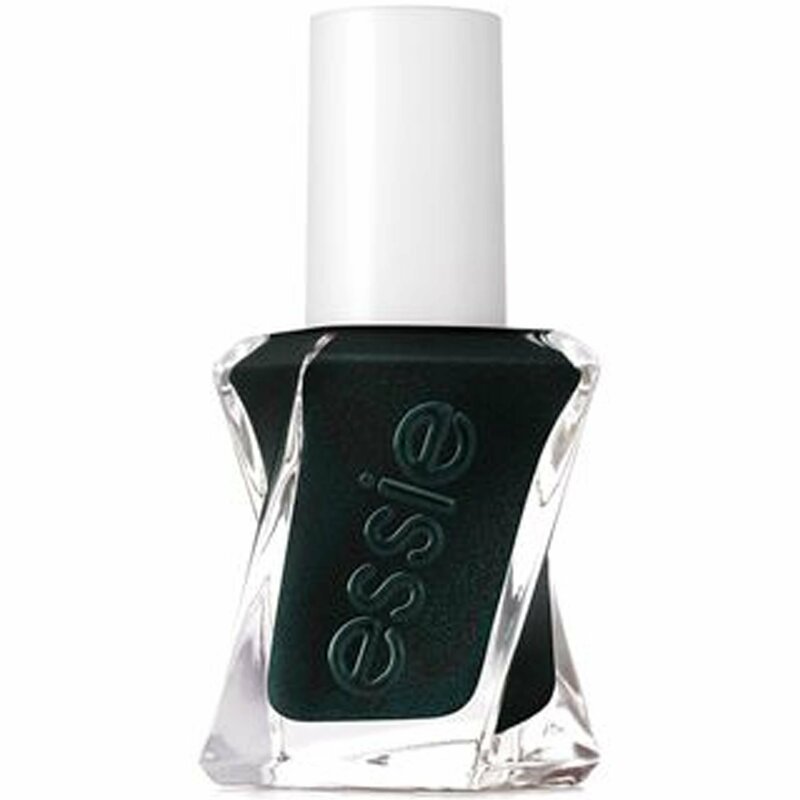 It will cover in two or three thin coats and has a perfect, smooth formula. 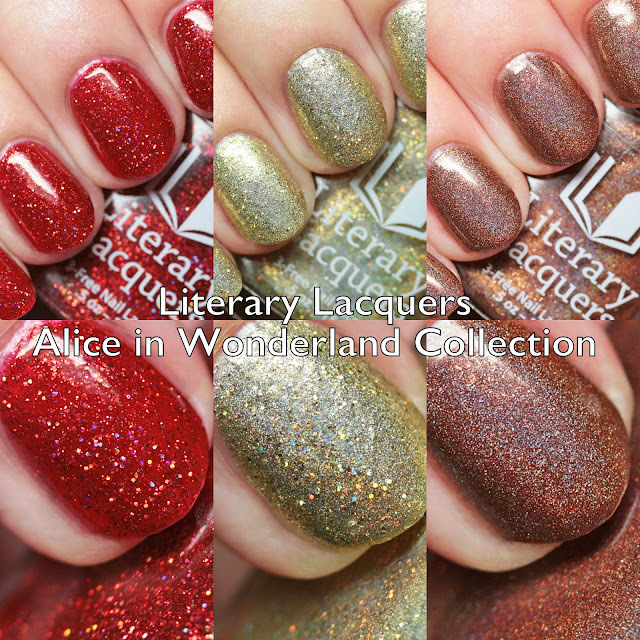 The Alice in Wonderland Collection releases on December 26 at noon MST. 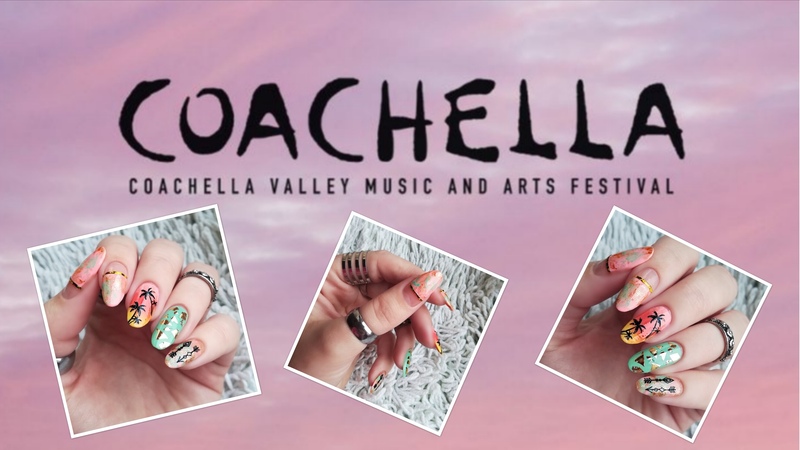 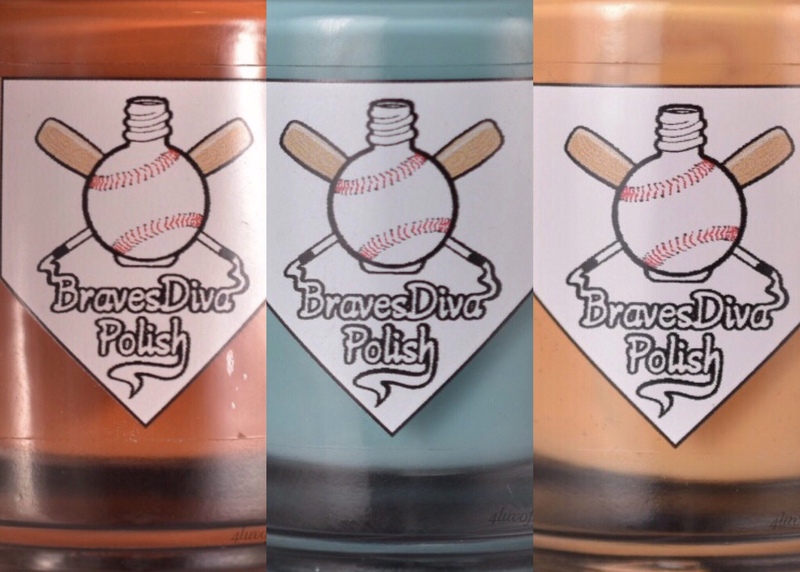 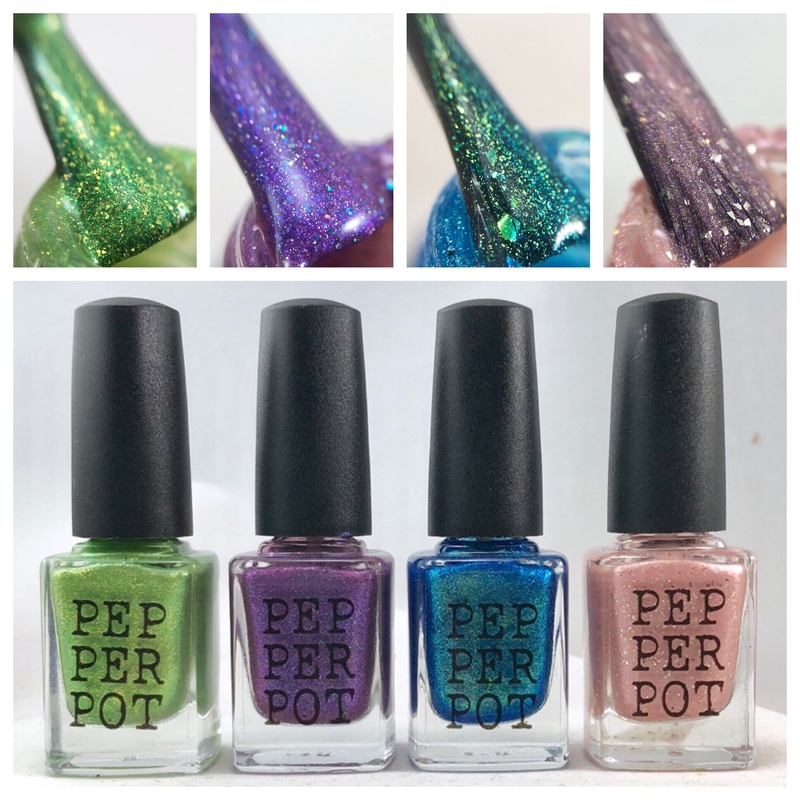 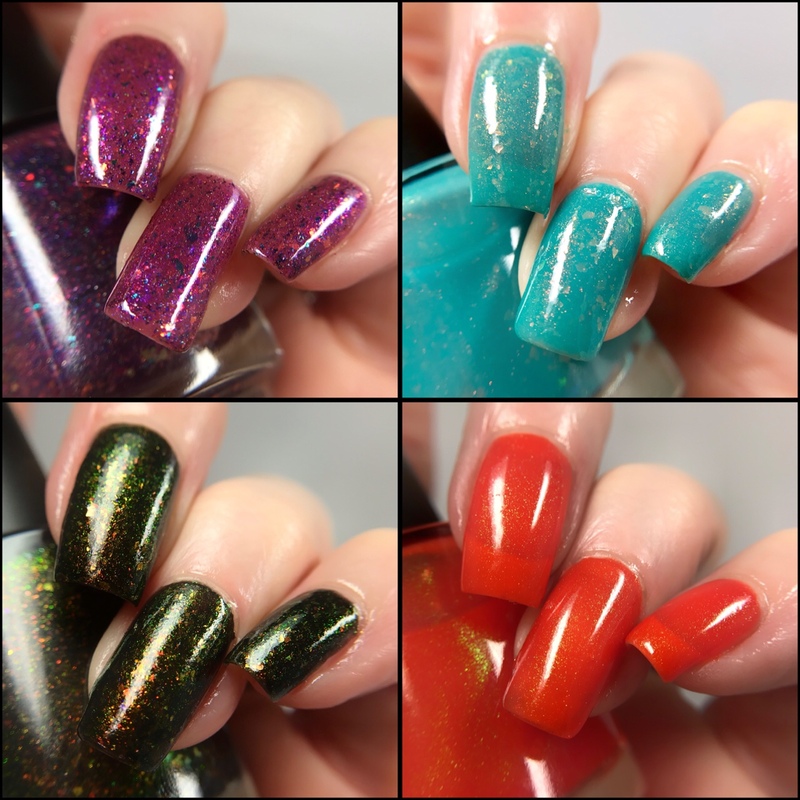 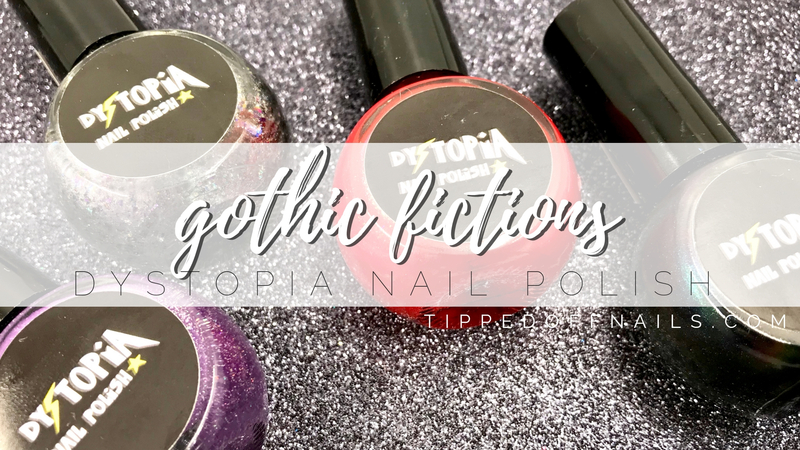 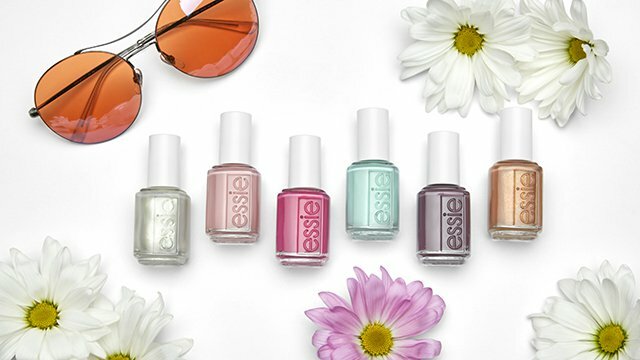 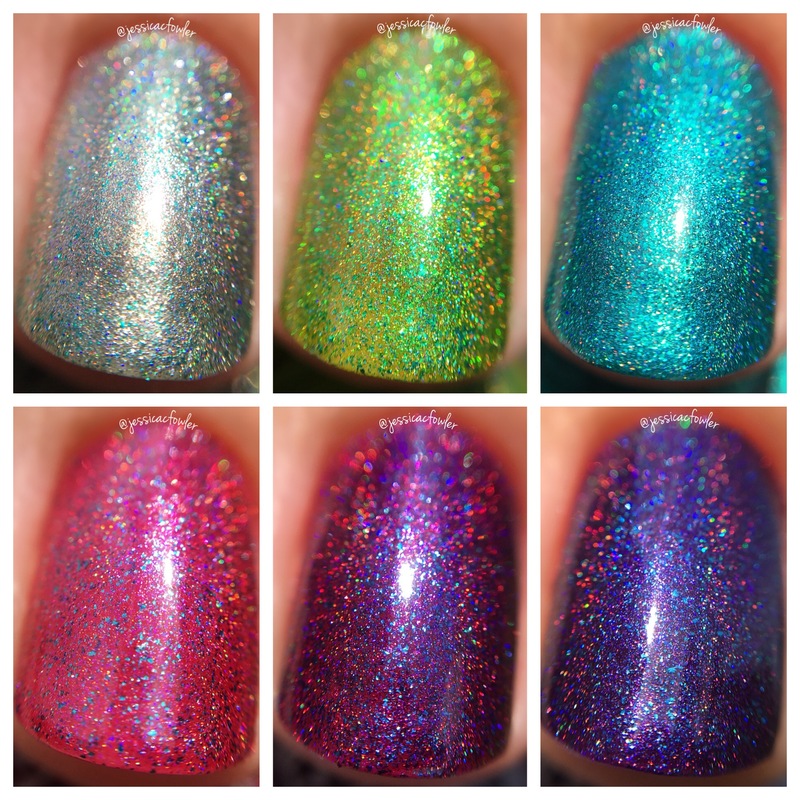 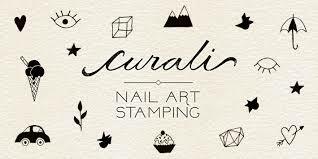 This is a seven piece collection, and one of the polishes is a gift with purchase for any order of $48 or more from December 26 to January 5. 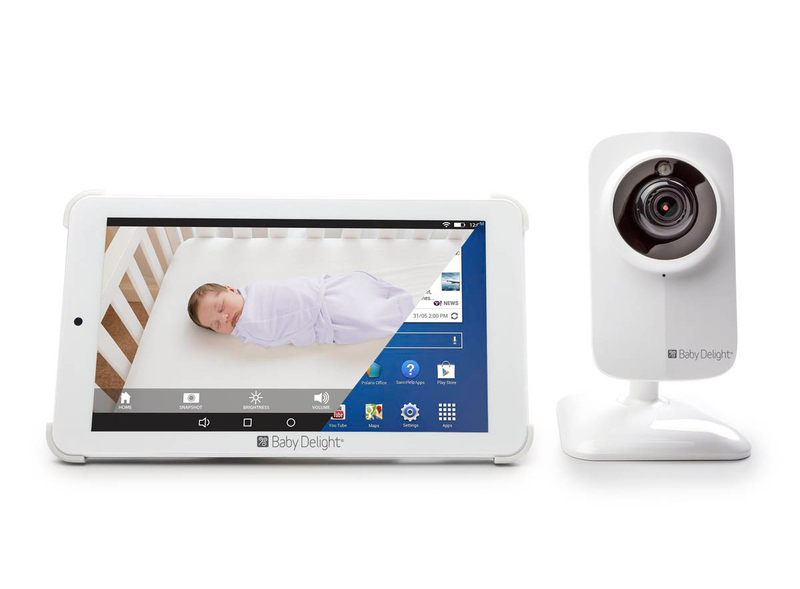 If you missed it, you can see the first half of the review, including the gift with purchase, here. 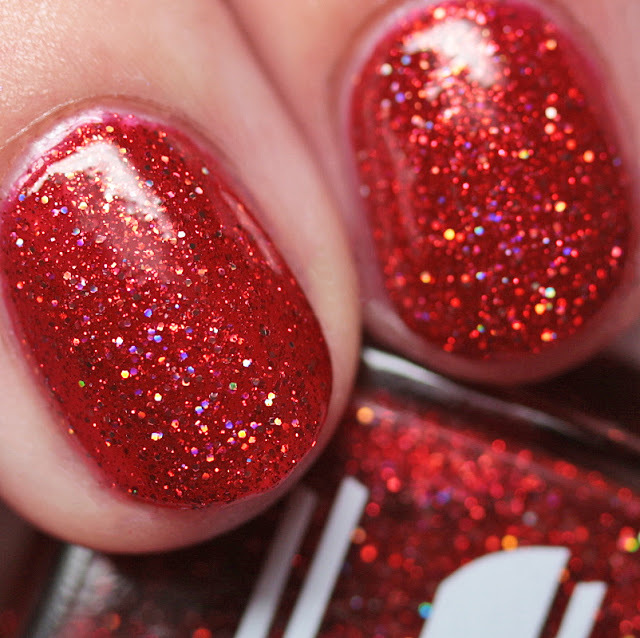 Of this group, I think Tulgey Wood is my favorite. 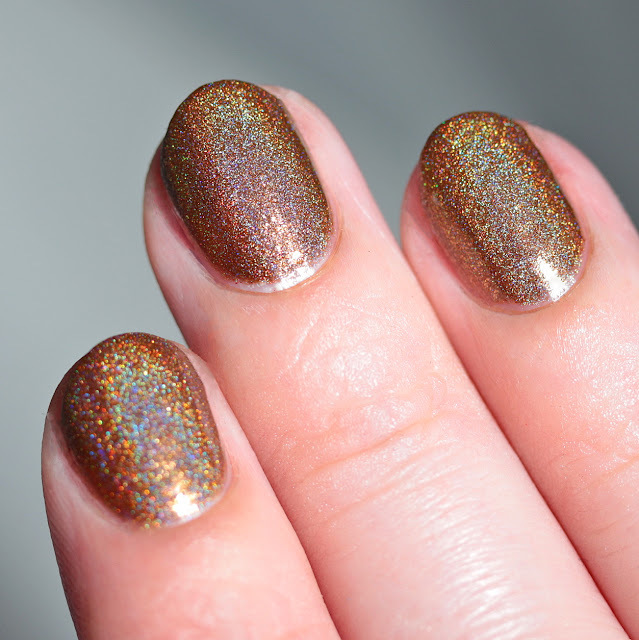 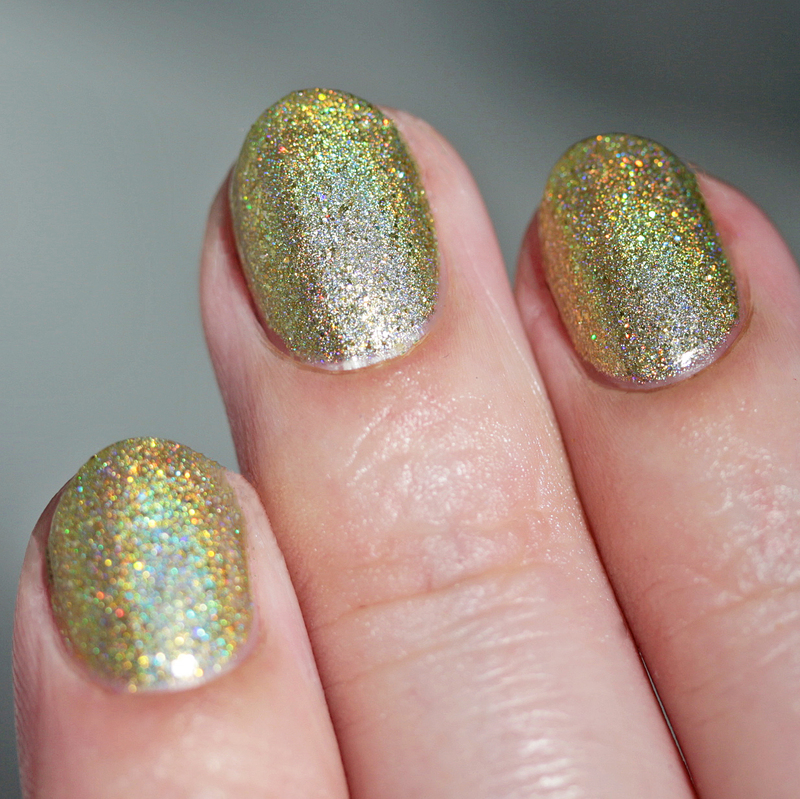 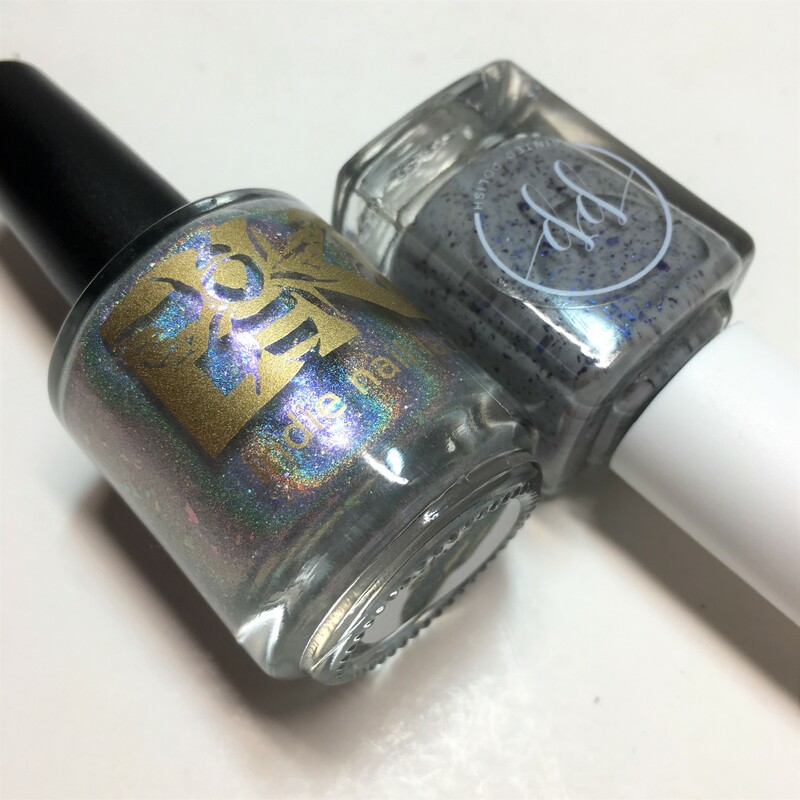 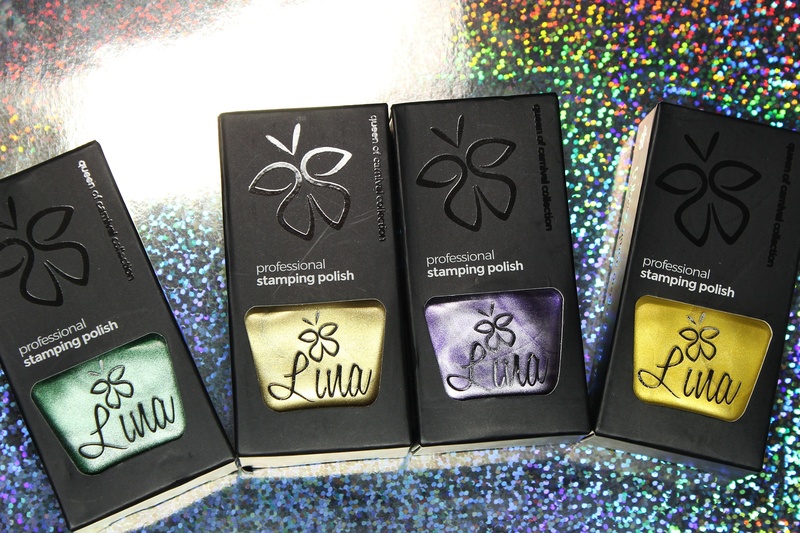 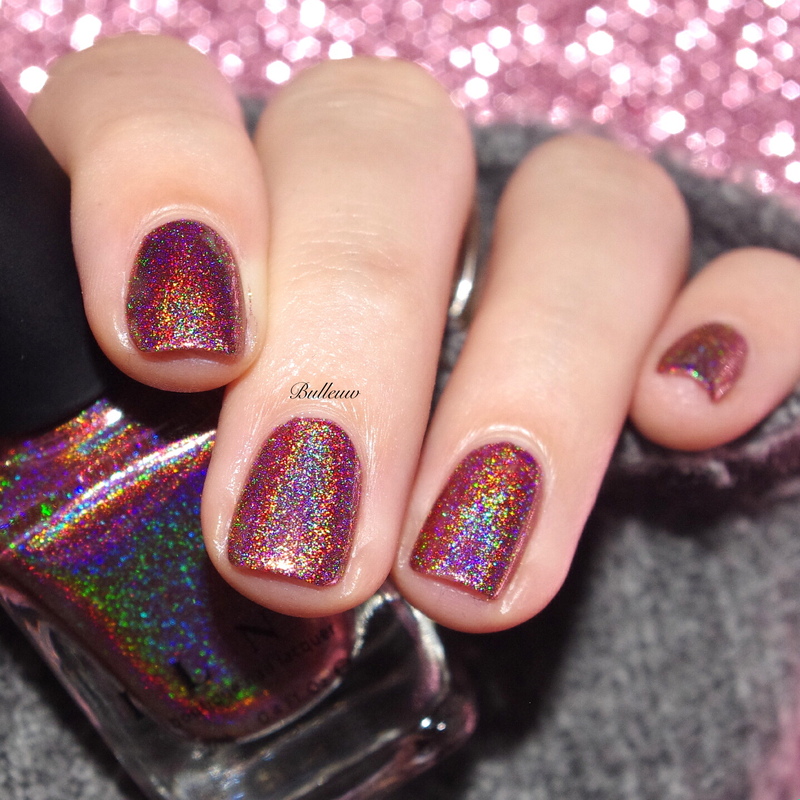 I can't resist and amazing, sparkly bronze holo!